A fantastic stop over tour to the facinating city of Seoul and surrounding area. This tour can easily be combined as an extension to all our advertised tours to China or Japan, or can be used as a perfect short stopover break on it own! Upon arrival at Incheon Airport in Seoul, you are met by English speaking staff and transferred to your Hotel. The rest of the day is at your leisure. Our Driver will meet you at the hotel and transfer you to Incheon airport for your departure flight to the UK. Prices is higher during Korean festival times and Public holidays etc - minimum 2 people. The single supplement applies for the 3rd person in the party who occupies a single room. All airport/hotel transfers within Korea. Selections of quality accommodation in well furnished rooms with private facilities, Which are based on 3 star accommodation (4 & 5 star upgrade available). International flights. We can assist in purchasing flights from major airports in China. Flights As agent of many airline consolidators, we can obtain flights in various class, with reputable airlines such as BA, Virgin, Air France, KLM, Lufthansa, Finnair etc. We will choose airlines for you depends on the availability unless you specify at the booking stage. We can also provide land-only tours if you prefer to organise your own flights and save airmiles. 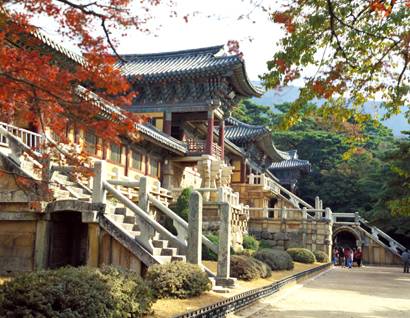 Other fact of our tour arrangement Small group or private tour in Korea. The tour itineraries are regularly checked and provides an ideal length of time to show you the sites, with free time to explore according to own interests. The itinerary is designed according to the most updated information of flights schedules available, although occasionally the sequence in which cities are visited and duration of time spent in each city can change due to local conditions which are out of our control. The above itinerary highlights the main attractions that are to be visited each day. - We reserve the right to change or amend our tour itinerary to suit unforseen events, ie due to heavy traffic conditions or bad weather. We reserve the right to change, amend or alter the itinerary, although we will act in your best interests to handle any amendments. Please refer to the booking form for detailed terms & conditions.